Learn more about Blue Tansy Essential Oil or find a great deal on the best selling Blue Tansy Oil from the items below! 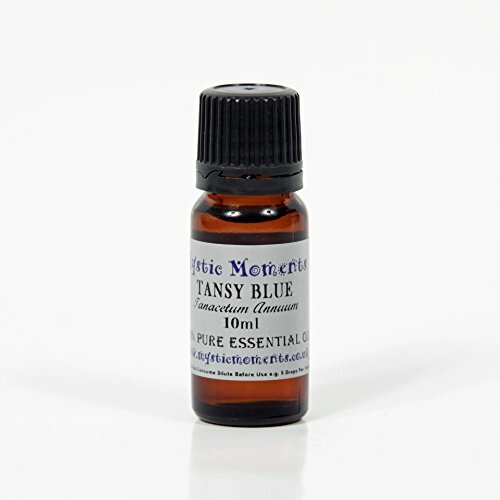 Tansy Blue Essential Oil 10ml - 100% Pure Botanical Name: Tanacetum annuum Plant Part: Leaves and Flowers Extraction Method: Steam Description: Tanacetum annuum produces leaves and flowers, from which the Blue essential oil Tansy Blue is extracted through high pressure, low heat steam extraction. Colour: Blue Consistency: Viscous Note: Middle Strength of Aroma: Medium Blends well with: Most essential oils, though particularly Ravensara. When blending, special attention should be given to colour issues that may arise (for example discoloration if used in a white cream or lotion). Aromatic Scent: Tansy Blue has a surprisingly sweet scent making it perfect for applications in skin care products and skin therapies. History: Tansy blue is sometimes mistakenly referred to as Moroccan Chamomile, though Moroccan Chamomile is actually an entirely different species. 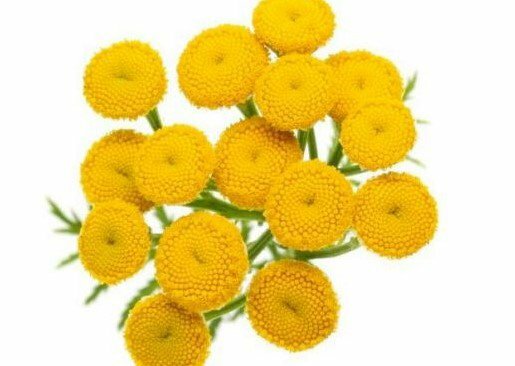 Botanical name: Tanacetum annuum; Plant part: The herb; Origin: North Morocco; Production: Sustainably wild harvested, certified organic; Extraction: Steam distillation of the fresh flowering tops. Note: Blue tansy is one of the chamazulene-rich essential oils with all that this implies; its chamazulene content is often as high as 38%. Fragrance profile: Deeply saturated fruity-sweet and apple-green notes, laced with an afterthought of fresh spiciness. Similar to German camomile but sweeter, fruitier and less 'malty' or 'seaweedy.' 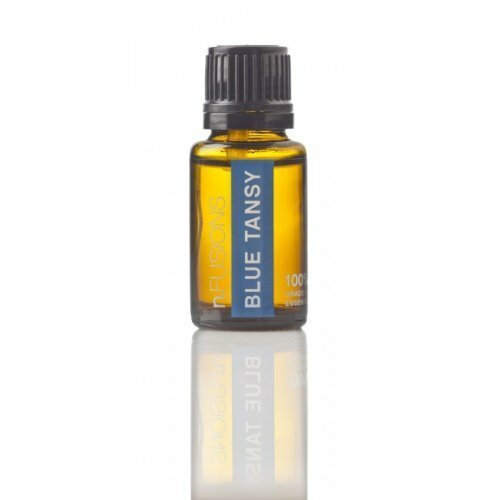 Psychological function: Cooling, soothing and harmonizing, Blue tansy will help relieve everyday stress, tension and worries. This oil is also amazingly useful for relieving irritability, oversensitivity and emotional frustration - in short, a saving boost to emotional equilibrium. Topical use: In dilution for any condition presenting skin irritation, redness, heat, itching and so on (including insect stings and bites); for soft tissue injury and pain in general, as well as muscle aches and pains. Basic Chinese Medicine function: To regulate Qi, clear heat and calm the Mind.